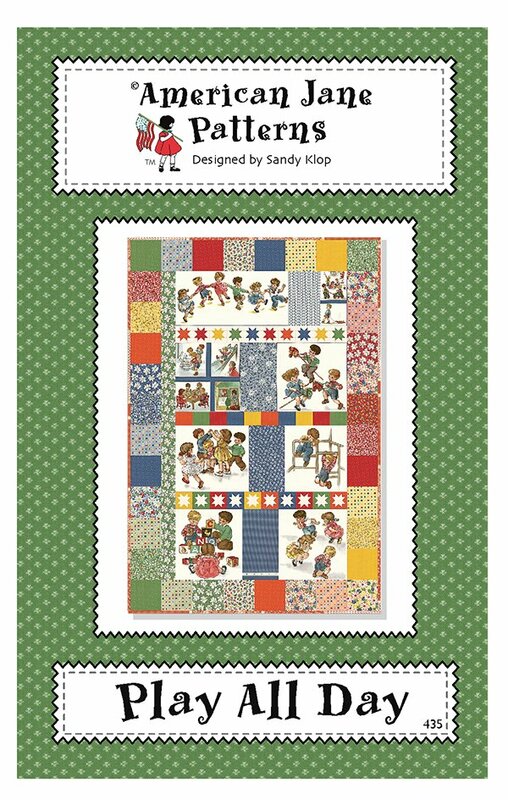 Play All Day Quilt Pattern by American Jane AJ435. Quilt Size 37" x 55" featuring Play All Day fabrics and panel by Moda. Charm Pack friendly.